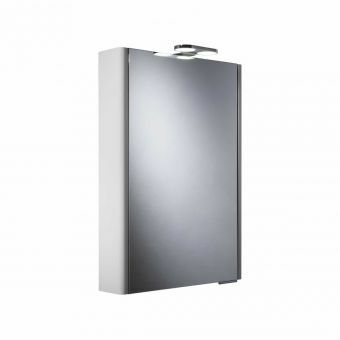 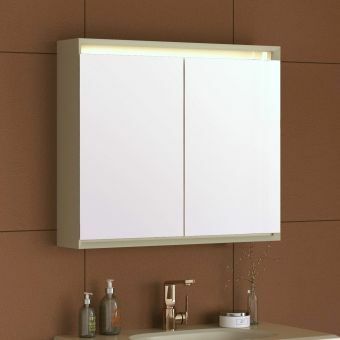 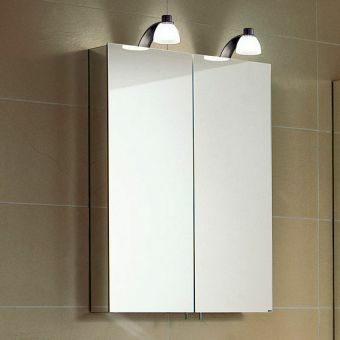 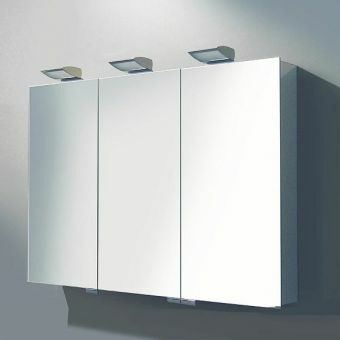 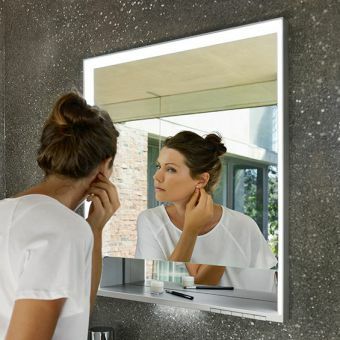 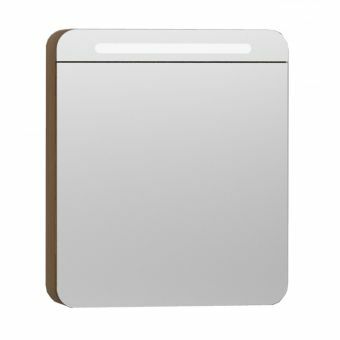 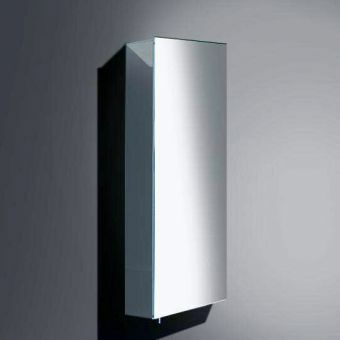 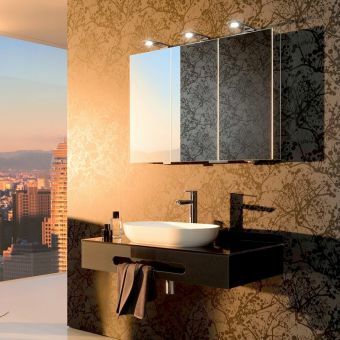 Coming form one of the most prestigious designers of continental bathroom furniture, the Keuco Royal 30 bathroom cabinet with Halogen Light is a sleek, modernist piece, guaranteed to make an impressive visual statement. 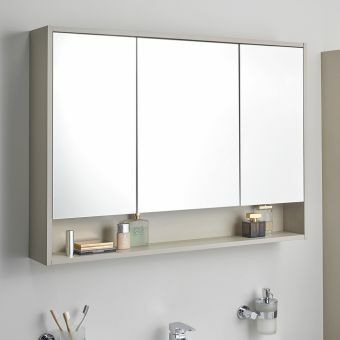 Hinged doors, complete with crystal glass mirrors on either side, open up to reveal height adjustable glass shelves. 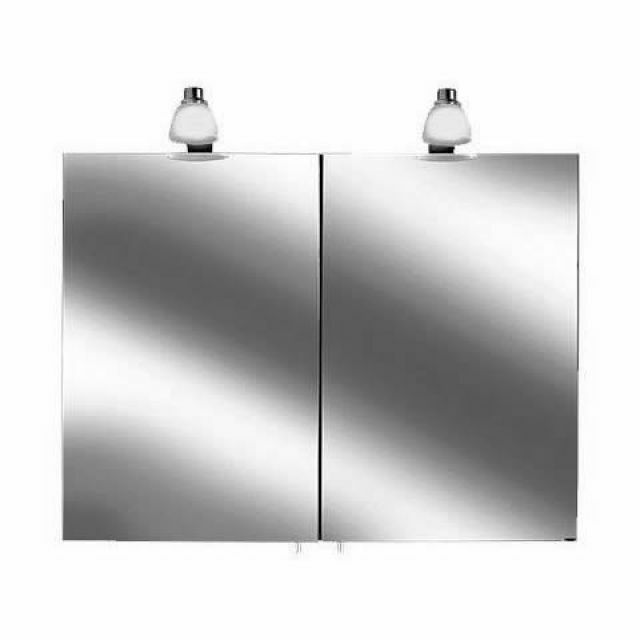 To complete the look, the external side panels are also mirrored, giving the overall effect of a glamorous, shimmering piece. 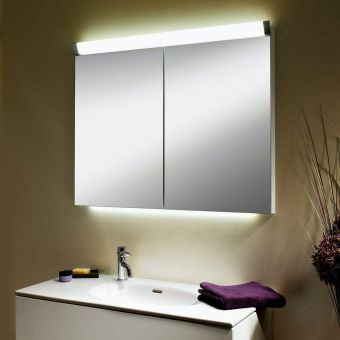 To provide all the illumination required, overhead halogen lamps give off a cool ambience. 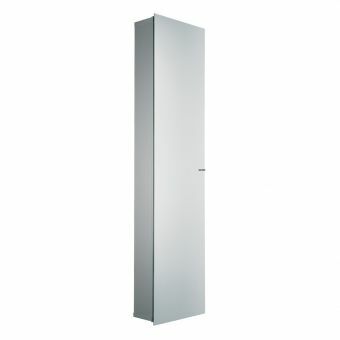 Included withall models as standard is a handy internal shaver socket.